Is the iPhone 8 worth the upgrade from the iPhone 7? 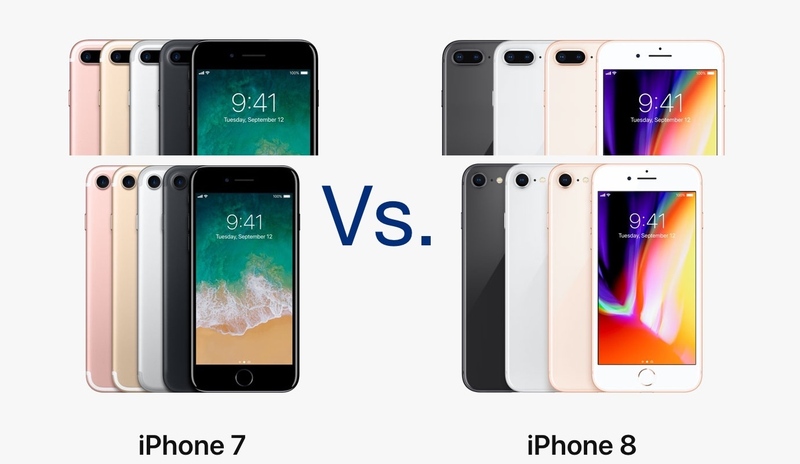 There’s undoubtedly a lot of hype for Apple’s new iPhone X, but if you’re looking to save some money and get the iPhone 8 or iPhone 8 Plus instead, then you’re probably interested in how it compares to the previous generation model and whether it’s worth the upgrade. While they look similar at first glance, some distinguishing features set the two models apart. In this piece, we’ll dispel some confusion by going over some of the most significant changes between the previous-generation iPhone 7/7 Plus and the new iPhone 8/8 Plus. Starting with the obvious, it’s a new iPhone, and that means it gets an entirely new chipset. Just like the iPhone X, the iPhone 8 and iPhone 8 Plus each boast the all-new six-core A11 Bionic chip powerhouse and the upgraded M11 motion co-processor. These are a step up from the A10 Fusion chip and M10 motion co-processors, and they’re still 64-bit just like their predecessors. 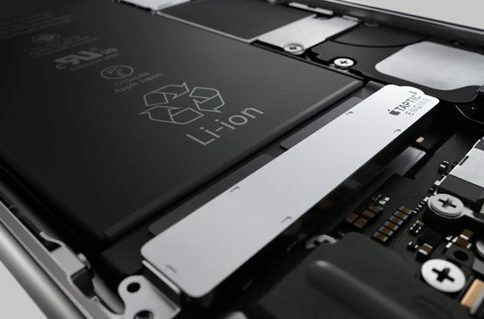 According to Apple, the A11 Bionic chip is split into both high and low-efficiency cores just like the A10 Fusion was, and will deliver anywhere from 25-70% more performance depending on which cores are being used. More importantly, it does all of this while being more power efficient. The GPU behind the A11 Bionic chip also serves as an excellent performance upgrade, which Apple dubs 30% faster than the previous generation chip. This is important for apps and games that utilize Apple’s new augmented reality APIs. 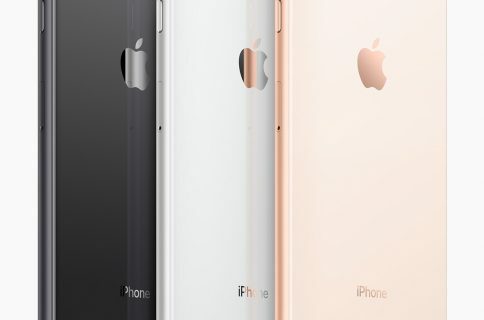 Additionally, the iPhone 8 and iPhone 8 Plus each offer something new called the Neural Engine, which is a separate chipset aimed at helping your iPhone process machine learning and related algorithms. Since artificial intelligence is a big player in this refresh, the Neural Engine is crucial for future app development. 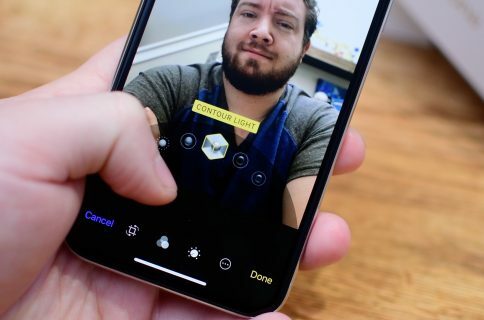 Because photography is a large part of any iPhone owner’s life, these updates are sure to make both your mobile photos and videos stand out from the rest. Both the iPhone 8 and iPhone 8 Plus support the latest Bluetooth 5.0 standard, which is a bump up from Bluetooth 4.2 in the iPhone 7 and iPhone 8 Plus. The upgraded Bluetooth capabilities mean less power usage, twice the bandwidth, and up to four times the range you’re used to with the previous-generation handset. Moreover, Bluetooth 5.0 is more reliable and secure than the previous standard. These capabilities are only fully utilized if your Bluetooth accessories support Bluetooth 5.0 too, but accessories shouldn’t take too long to adopt the new standard. The new handsets also pick up support for Galileo and QZSS in addition to GPS and GLONASS, which means location services on the iPhone 8 and iPhone 8 Plus can better serve you in different parts of the world. All of Apple’s iPhones are charged with Lightning cables; and yes, one is still included in the box of Apple’s latest handsets. Nevertheless, there are some major differences in charging capabilities you need to be aware of. Both the iPhone 8 and iPhone 8 Plus support Quick Charge, letting you charge from 0-50% in under 30 minutes. This capability requires a Power Delivery-supported adapter, such as the one that comes with the latest USB-C-based MacBooks or MacBook Pros. Unfortunately, the AC adapter that comes in the box of your new iPhone 8 or iPhone 8 Plus doesn’t support Quick Charge, nor does the Lightning cable that comes included. You would need to purchase the Quick Charge-compatible AC adapter and USB-C to Lightning cable separately. You could even drop the cables altogether, as iPhone 8 and iPhone 8 Plus both support wireless charging via Qi-supported chargers. At first, iPhone 8 and iPhone 8 Plus will support a slower 5-watt charging speed via Qi, but Apple plans to enable support for 7.5-watt charging via Qi in a future software update. For the most part, battery life should remain about the same as last year’s handsets. Perhaps one of the last major key points to mention if you’re upgrading to the iPhone 8 or iPhone 8 Plus from last year’s model is that the new handsets have new storage options. While the iPhone 7 and iPhone 7 Plus supported 32GB, 128GB, and 256GB storage options previously, the iPhone 8 and iPhone 8 Plus will only support 64GB and 256GB storage options at launch. Notably, Apple is no longer selling 256GB models of the iPhone 7 or iPhone 7 Plus in a push to get people to buy the newer handset, but anyone buying the low-end handset will find 64GB is an excellent storage upgrade from 32GB. Nevertheless, the new 4K video recording capabilities and the size of AR-enabled apps and games are sure to eat your storage space up quickly so you might opt for the larger storage option to prevent your device from filling up. Should you get the iPhone 8 or 8 Plus if you have the iPhone 7 or 7 Plus currently? My opinion is no, because the iPhone 7/7 Plus still has plenty of life in it. Then again, everyone has their own subjective opinion of the value behind the minor spec bumps and whether their own hard-earned money should go toward the 8/8 Plus or the X. Both the 8 and 8 Plus are an upgrade from their respective predecessors, but the iPhone X will be my upgrade choice this year because it has so many great features in comparison to what feels like Apple’s “S” upgrade in disguise. To learn more about the iPhone 8 and iPhone 8 Plus, check out their detailed tech specs. Based off all the differences, have you made a choice in what iPhone you’ll be getting this year? Share in the comments below! Has Apple intentionally limited Portrait Lighting effects to iPhone X & iPhone 8 Plus?